Rosário Busch Properties offers expert advice and guidance on all aspects of Real Estate, from purchase and sale, rentals, property management, design and construction, legal and tax insurance. Whatever your real estate requirements Rosário Busch and her team are readily available to meet and exceed your expectations. Whether buying or selling, clients are guaranteed an exclusive service tailored to their personal requirements. Whether you are looking for a holiday retreat or the ultimate luxurious permanent home, this brand new villa is a must to see and have! Set on the North side of Quinta do Lago, this classic family villa enjoys superb countryside views and is only a short stroll to the Quinta shoppping. 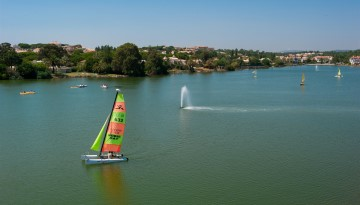 Located at the centre of Vilamoura and close by the well known Browns Sport & Leisure Club. Quinta das Palmeiras is a charming country style villa with rustic exteriors and modern interiors. This beautifully designed villa, built to a very high specification offers the perfect accommodation for the ideal permanent family home or rental accommodation. 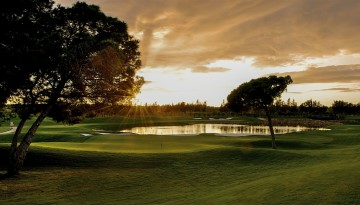 Quinta do Lago is where quality and luxury meets nature and is for those of refined tastes who can enjoy all that the Resort has to offers. Rosario Busch Properties offers expert advice and guidance on all aspects of Real Estate including purchase, sales and rental. Our office is located at the heart of the Algarve´s Golden Triangle. 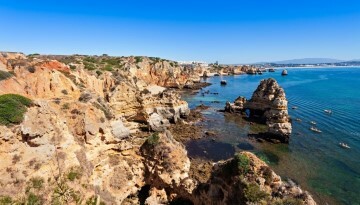 The Algarve is an ideal choice for those who appreciate nature and tranquility in Portugal. The three most important factors in buying a home are location, location, location! !